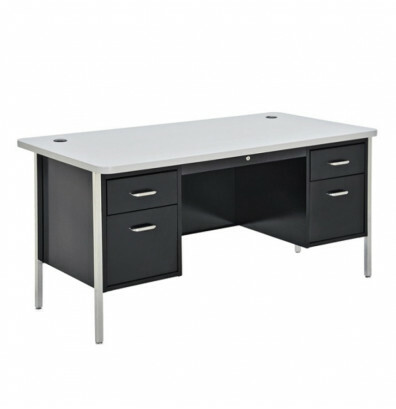 Sandusky 600 Series 60" W teacher desk offers a durable laminate top with rounded corners. 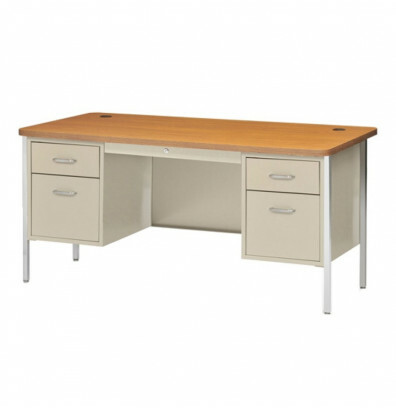 Features two pedestals with box and file drawers and a center drawer. Available in multiple finishes. 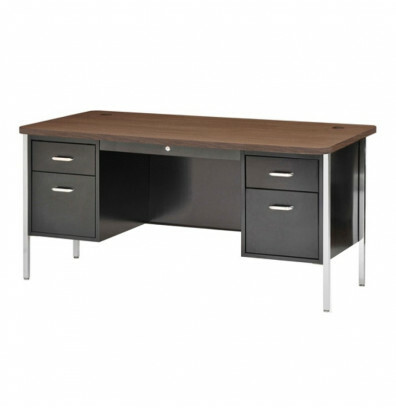 Sandusky 600 Series 60" W teacher desk offers a durable 1.25" thick wood-grain laminate top with rounded corners and vinyl covered edges. 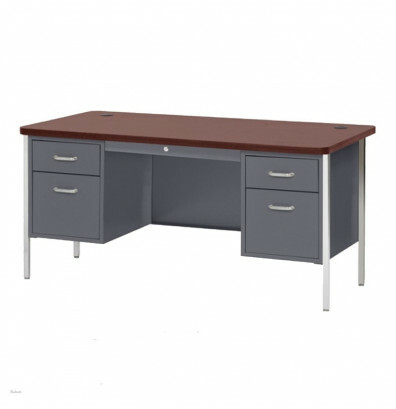 Two box / file pedestals hold office supplies and hanging file folders. 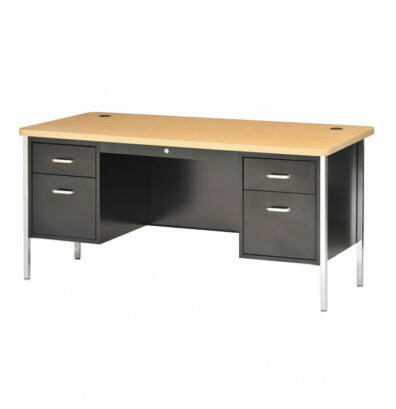 Includes two wire grommets in the desk surface for easy cable management. File drawers have steel ball-bearing slide suspension. Ships ready to assemble. The 600 Series 60" W teacher desk features many drawers for storage convenience. The pedestal box drawers are equipped with dividers; full extension file drawers. The center drawer includes a supply tray. Arch design drawer handles. A center locking system secures all three. Drawer lock includes set of two keys. Chrome-plated tubular steel legs with adjustable levelers. Greenguard certified for low chemical emissions.